After almost 8 weeks of downtime, Domainking.NG is back in business, or so they appear to be. The Nigerian domain registrar’s Indian founders have returned to “active duty” and are responding to support tickets, actively engaging with their frustrated user base on Facebook. It seems that NiRA has lifted the suspension of the Domainking.NG domain, but so far there is no information if .NG domain registration and support is provided. 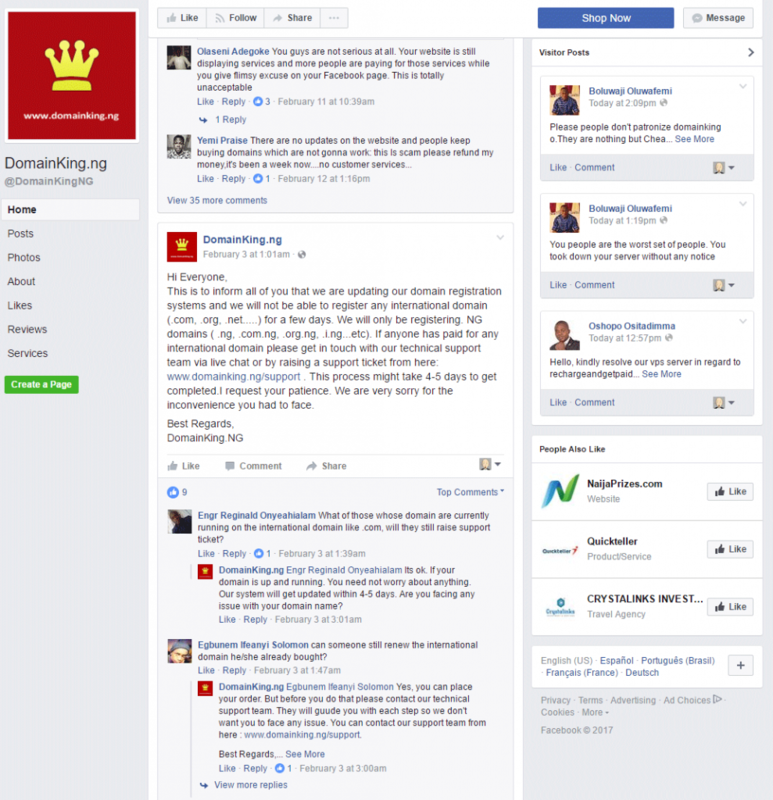 On their Facebook profile, the Domainking.NG operators downplay the extensive downtime of the registrar’s activities, with no specific reference to their arrest, or extended period of detainment, as reported by Indian media and the Pune City Police. It remains to be seen if this is a temporary resolution of the issues; in the meantime, confusion from this incident no doubt affects the proper operations of unrelated parties, such as the Domain King® , Rick Schwartz.